Digital tools for online learning. 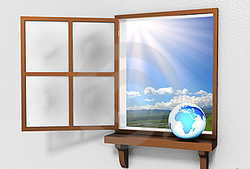 What is your window to the world? It is important that we provide you with a window to the world to share you work with Mr. P and Mr. H, as well as with other students taking the online courses. To proivde you with tools to function in these online classes we have set up a three week mini-course for you to master skills you will need to be successful in the online courses we will offer. This three week (really 3-5 hour) course will set the stage for you to take any course we offer without having to learn new and different tools. a. Weebly: your website and blog page on the web. b. Quizstar: your free online evaluation site. c. Diigo: your free online library and notebook. d. Fill in google form with contact and website information. Each tutorial should take about 15-40 minutes to complete. Please set aside enough time to finish each tutorial in one sitting. Before you can start taking an online class, you need to create a space for the world to see your work. Watch the video below to learn how to create a free website using Weebly (that's what this site is!). Once you have your own "Window to the World" you will fill in the form below the tutorial so we have the address of your website. The tutorial for creating a Weebly is also on the Tools & Tutorials page. The next free account that you will need to establish is through a site calledQuizStar. QuizStar is an online assessment site. The short quizzes used during each class are completed and stored on QuizStar, for us to view your knowledge. QuizStar offers you instant feedback on your quiz and allows Mr. Holman and Mr. Pennington to see how everyone is doing throughout the course. The tutorial video is below and available on the Tools & Tutorials page. Now that you have your very own webpage, let's create a Diigo account. Diigo is a social bookmarking site. It will allow you to highlight text, save webpages and images to the cloud. You can access them on any computer AND share these resources with everyone taking this class. Your bookmarks and notes will never disappear; that means someday if you take a modern history course in college, you can come back and find information on the sites you are using today! The tutorial video is located below and just like the weebly tutorial, it is also available on the Tools & Tutorials page of this site. Sign into our diigo group: Click join now in the image below. Then on new page, click join group, then click one a week on next screen and you are in. ONLINE class Contact and Website information: REQUIRED TO FILL IN.